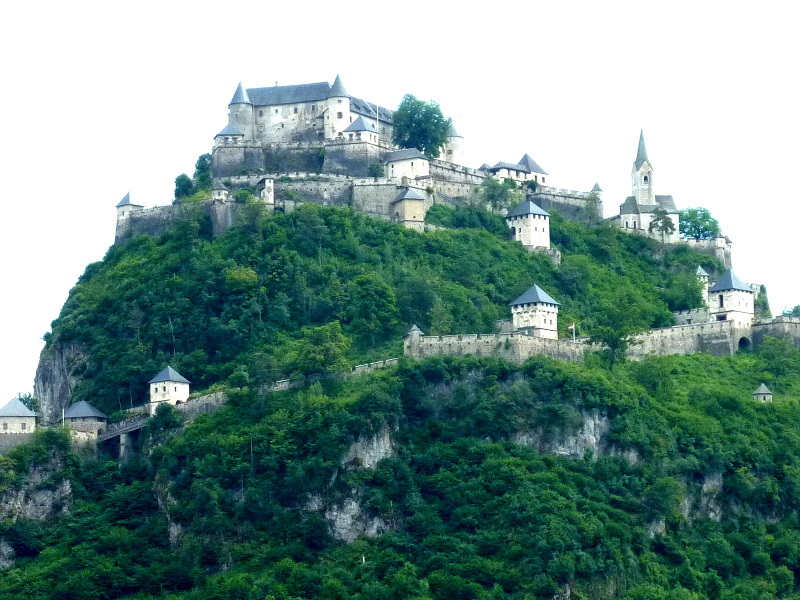 Hochosterwitz Castle, in the southern Austrian province of Carinthia, is a huge and successful fortress. 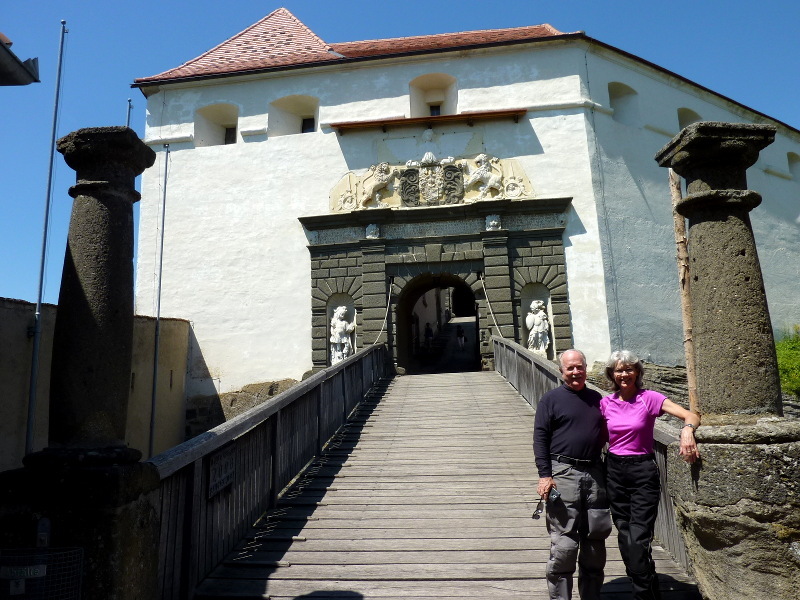 It sits on a rocky hill and along the steep path to the castle lie the fabled 14 gates of Hochosterwitz, providing 14 layers of defense. Hochosterwitz was never captured; and assailants only ever managed to reach gate number four. 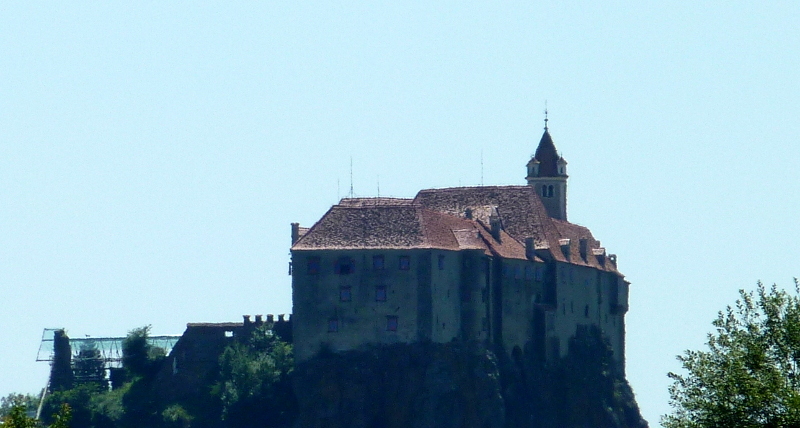 A closer view of Hochosterwitz Castle. 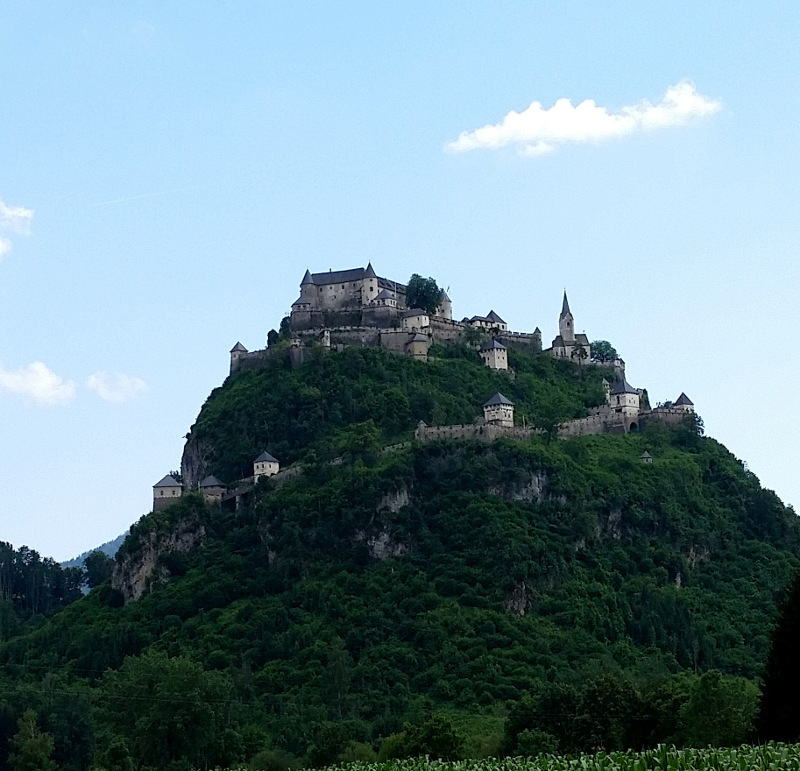 This is the Castle Riegersburg, a prominent castle in the eastern end of the province of Styria. It is said to be one of the strongest forts in all of the countries of Europe and the Western Hemisphere. In all these centuries it was never conquered. 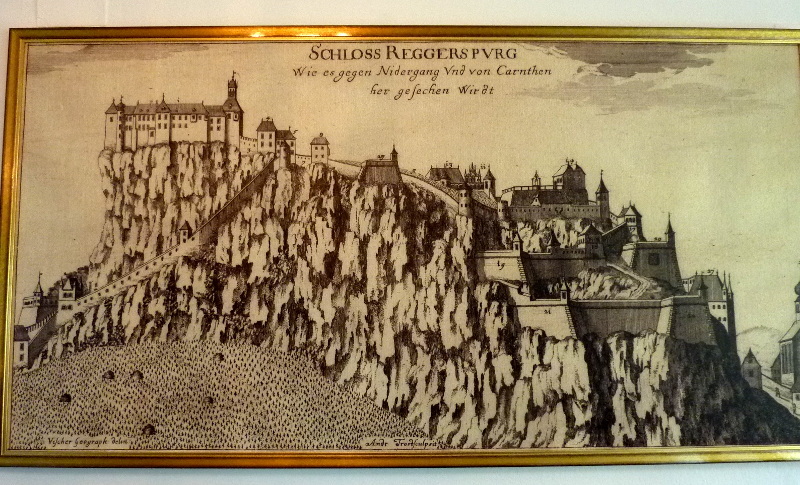 Here is a centuries old depiction of the Castle Riegersburg showing the castle in the upper left and the circuitous route to get up to the castle. Castle Riegersburg entrance gate and bridge over the moat. 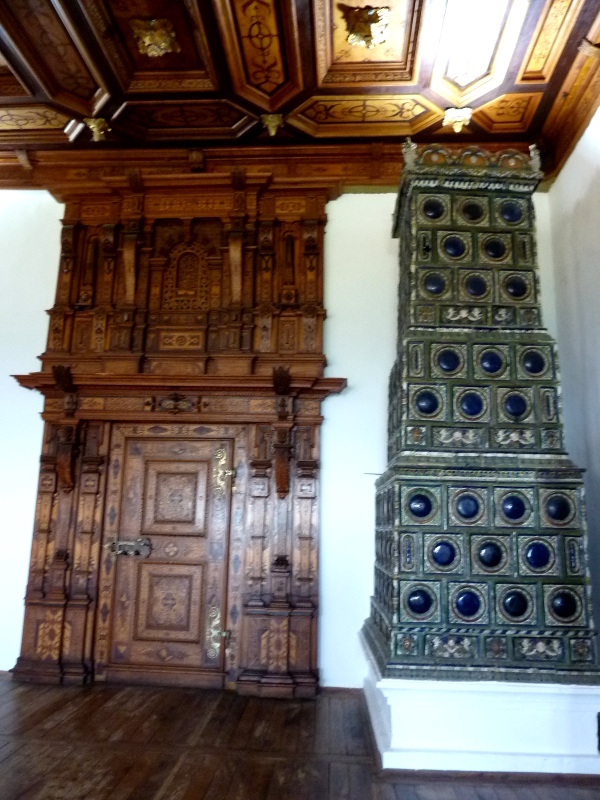 Lavish interior door in the Castle Riegersburg. 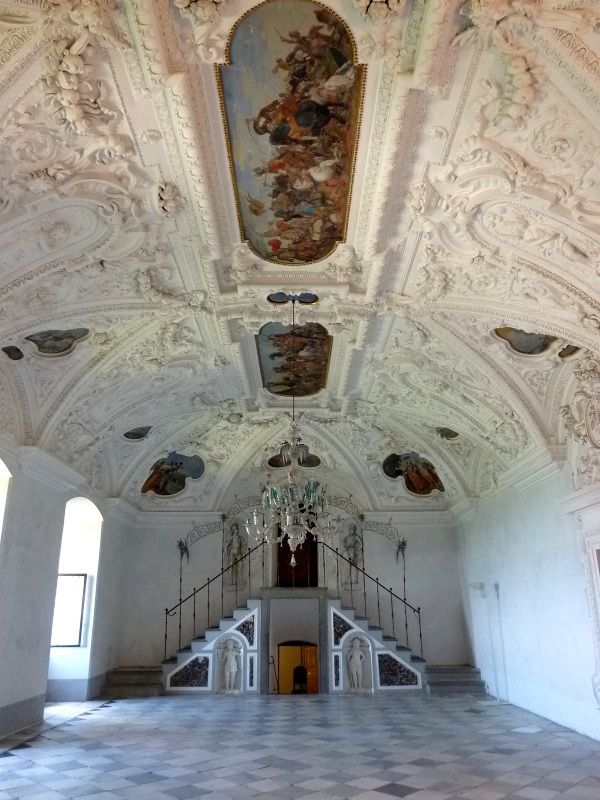 The ballroom in Castle Riegersburg is appropriately named the White Room.